Profile by Vicki Stittleburg: Ruby-throated Hummingbirds are bright emerald or golden-green on the back and crown with gray-white underparts. 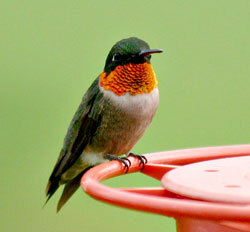 Males have a brilliant iridescent red throat while females and immatures have fine, dark throat streaking. 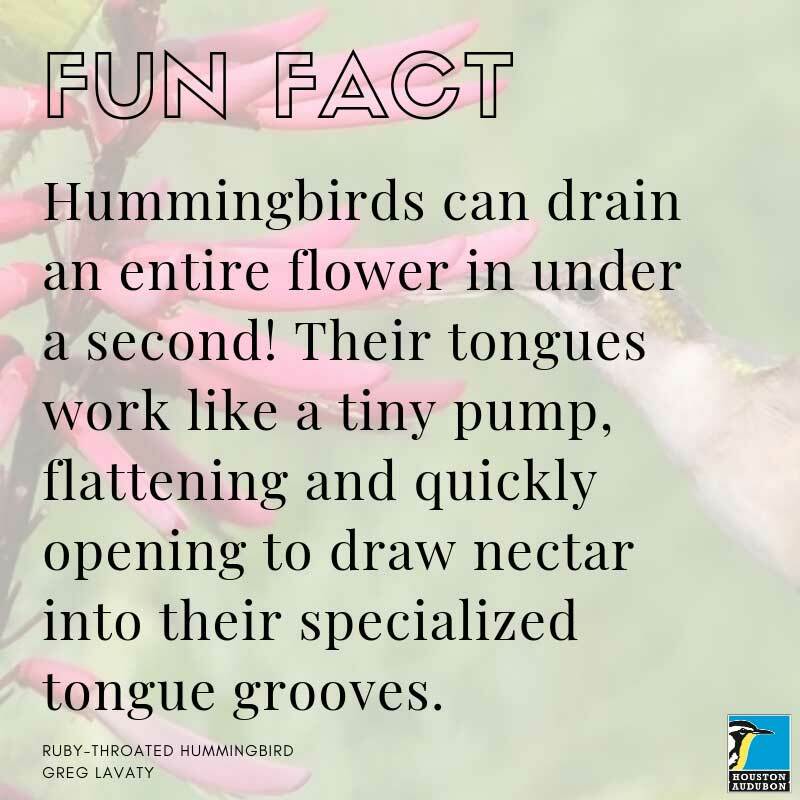 Ruby-throated Hummingbirds feed on the nectar of red or orange tubular flowers as well as at hummingbird feeders and sometimes tree sap. 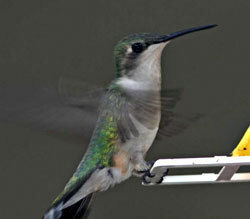 Hummingbirds also catch insects in midair or pull them out of spider webs. In preparation for their migration, Ruby-throated Hummingbirds double their weight from 3 grams to over 6 grams prior to departing. 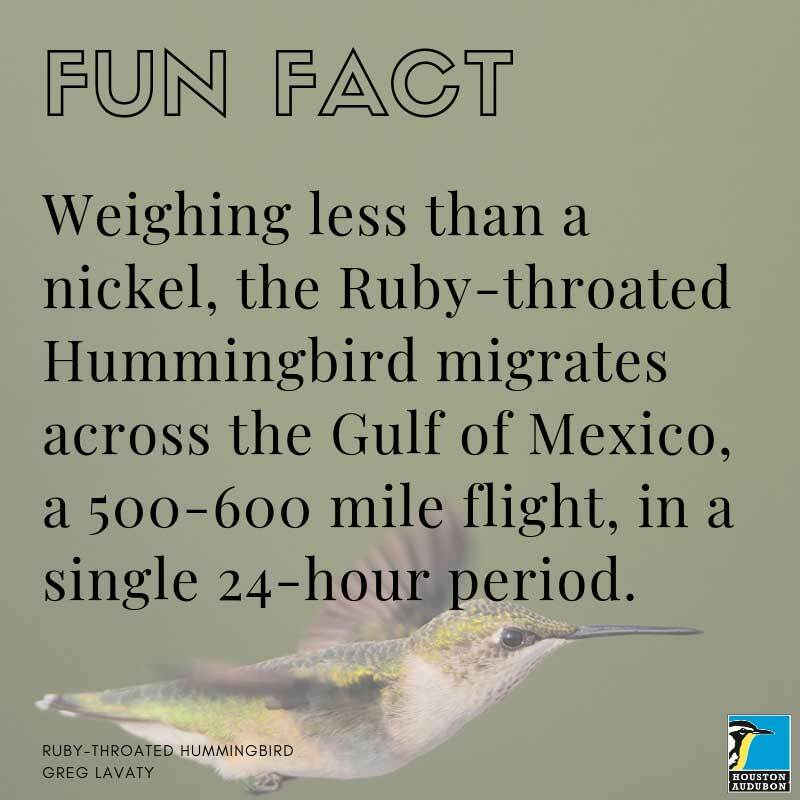 From September until November, millions of Ruby-throated Hummingbirds will pass through Texas on their migration to points south of the border with many crossing the Gulf of Mexico in a single flight. They are arriving from breeding grounds as far away as Nova Scotia. Grow tubular flowers such as salvias and Turk's cap. Hummingbird feeders are a very useful supplement, but appropriate flowers are the best magnet. 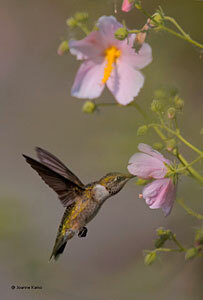 Good plant choices are listed in the Hummingbirds of Houston Fact Sheet.